28/39 City/Highway MPG, Intelligent Auto Headlight, 8-way power driver seat and 60/40 split fold-down rear seat, satellite radio, NissanConnect featuring Apple CarPlay and Android Auto, 8-inch color display with multi-touch control, Bluetooth hands-free phone system, streaming audio via Bluetooth, two front and two rear illuminated USB charge ports, RearView monitor, Nissan Intelligent Key with push button ignition and remote engine start. NISSAN NEW VEHICLE WARRANTY: Every Nissan is backed by 36-month/36,000-mile limited vehicle coverage, 5-year/60,000-mile limited powertrain and a corrosion perforation warranty of 60-months/unlimited distance. The Nissan Titan includes a 5-year/100,000-mile bumper-to-bumper limited warranty. For extra protection, you can also add Security+Plus®, the only extended service agreement approved by Nissan and for complete warranty information and details contact Anderson Nissan. WHY BUY FROM ANDERSON: Anderson Nissan is a recipient of The Nissan Award of Excellence, the highest award presented by Nissan North America to its dealers. The award recognizes Nissan's top dealers from across the nation who are able to meet high standards of achievement. The Anderson Auto Group is a one stop auto sales, maintenance, and repair business for all of your automotive needs. Out of town customers will be accommodated with free shuttle service from Las Vegas and Phoenix airports and if an overnight stay is needed, discounted nightly rates are available from local hotels. We welcome you to come in and enjoy a positive buying experience and look forward to you joining the Anderson family of customers. DISCLAIMER: *Prices, options, specifications and images shown are subject to certain qualifications and availability. Pricing information is not final and may not include taxes, registration, finance and purchase fees. Please confirm vehicle availability, pricing and warranty information by calling us at 928-764-1700 or emailing our internet sales department at nissansales@andersonauto.com. 28/39 City/Highway MPG, intelligent auto headlight, 8-way power driver seat and 60/40 split fold down rear seats, satellite radio, NissanConnect featuring Apple CarPlay and Android Auto, 8-inch color display with multi-touch control, Bluetooth hands-free phone system, streaming audio via Bluetooth, hands-free text messaging assistant, two front and two rear illuminated USB charge ports, RearView monitor, Nissan Intelligent Key with push button ignition and remote engine start. NISSAN NEW VEHICLE WARRANTY: Every Nissan is backed by 36-month/36,000-mile limited vehicle coverage, 5-year/60,000-mile limited powertrain and a corrosion perforation warranty of 60-months/unlimited distance. The Nissan Titan includes a 5-year/100,000-mile bumper-to-bumper limited warranty. For extra protection, you can also add Security+Plus®, the only extended service agreement approved by Nissan and for complete warranty information and details contact Anderson Nissan. WHY BUY FROM ANDERSON: Anderson Nissan is a recipient of The Nissan Award of Excellence, the highest award presented by Nissan North America to its dealers. The award recognizes Nissan's top dealers from across the nation who are able to meet high standards of achievement. The Anderson Auto Group is a one stop auto sales, maintenance, and repair business for all of your automotive needs. Out of town customers will be accommodated with free shuttle service from Las Vegas and Phoenix airports and if an overnight stay is needed, discounted nightly rates are available from local hotels. We welcome you to come in and enjoy a positive buying experience and look forward to you joining the Anderson family of customers. DISCLAIMER: *Prices, options, specifications and images shown are subject to certain qualifications and availability. Pricing information is not final and may not include taxes, registration, finance and purchase fees. Please confirm vehicle availability, pricing and warranty information by calling us at 928-764-1700 or emailing our internet sales department at nissansales@andersonauto.com. 27/37 City/Highway MPG, sport suspension, 19-inch alloy wheels, unique rear diffuser, exhaust finishers, leather-wrapped steering wheel with paddle shifters, unique sport seat and color stitching, satellite radio, NissanConnect, 8-inch color display with multi-touch control, Bluetooth hands-free phone system, streaming audio via Bluetooth, hands-free text messaging assistant, two front and two rear illuminated USB charge ports, RearView monitor, Nissan Intelligent Key with push button ignition, blind spot warning, rear cross traffic alert and remote engine start. NISSAN NEW VEHICLE WARRANTY: Every Nissan is backed by 36-month/36,000-mile limited vehicle coverage, 5-year/60,000-mile limited powertrain and a corrosion perforation warranty of 60-months/unlimited distance. The Nissan Titan includes a 5-year/100,000-mile bumper-to-bumper limited warranty. For extra protection, you can also add Security+Plus®, the only extended service agreement approved by Nissan and for complete warranty information and details contact Anderson Nissan. 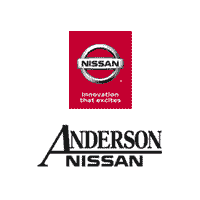 WHY BUY FROM ANDERSON: Anderson Nissan is a recipient of The Nissan Award of Excellence, the highest award presented by Nissan North America to its dealers. The award recognizes Nissan's top dealers from across the nation who are able to meet high standards of achievement. The Anderson Auto Group is a one stop auto sales, maintenance, and repair business for all of your automotive needs. Out of town customers will be accommodated with free shuttle service from Las Vegas and Phoenix airports and if an overnight stay is needed, discounted nightly rates are available from local hotels. We welcome you to come in and enjoy a positive buying experience and look forward to you joining the Anderson family of customers. DISCLAIMER: *Prices, options, specifications and images shown are subject to certain qualifications and availability. Pricing information is not final and may not include taxes, registration, finance and purchase fees. Please confirm vehicle availability, pricing and warranty information by calling us at 928-764-1700 or emailing our internet sales department at nissansales@andersonauto.com. Recent Arrival, 27/37 City/Highway MPG, sport suspension, 19-inch alloy wheels, unique rear diffuser, exhaust finishers, power sliding moonroof with tilt, leather steering wheel with paddle shifters, unique sport seat and color stitching, 8-way power driver seat, satellite radio, NissanConnect featuring Apple CarPlay and Android Auto, 8-inch color display with multi-touch control, Bluetooth hands-free phone system, RearView monitor, blind spot warning, rear cross traffic alert, Nissan Intelligent Key with push button ignition and remote engine start. NISSAN NEW VEHICLE WARRANTY: Every Nissan is backed by 36-month/36,000-mile limited vehicle coverage, 5-year/60,000-mile limited powertrain and a corrosion perforation warranty of 60-months/unlimited distance. The Nissan Titan includes a 5-year/100,000-mile bumper-to-bumper limited warranty. For extra protection, you can also add Security+Plus®, the only extended service agreement approved by Nissan and for complete warranty information and details contact Anderson Nissan. WHY BUY FROM ANDERSON: Anderson Nissan is a recipient of The Nissan Award of Excellence, the highest award presented by Nissan North America to its dealers. The award recognizes Nissan's top dealers from across the nation who are able to meet high standards of achievement. The Anderson Auto Group is a one stop auto sales, maintenance, and repair business for all of your automotive needs. Out of town customers will be accommodated with free shuttle service from Las Vegas and Phoenix airports and if an overnight stay is needed, discounted nightly rates are available from local hotels. We welcome you to come in and enjoy a positive buying experience and look forward to you joining the Anderson family of customers. DISCLAIMER: *Prices, options, specifications and images shown are subject to certain qualifications and availability. Pricing information is not final and may not include taxes, registration, finance and purchase fees. Please confirm vehicle availability, pricing and warranty information by calling us at 928-764-1700 or emailing our internet sales department at nissansales@andersonauto.com. 27/37 City/Highway MPG, power sliding moonroof with tilt, 19-inch alloy wheels, unique rear diffuser, exhaust finishers, leather-wrapped steering wheel with paddle shifters, unique sport seat and color stitching, heated front seats, satellite radio, NissanConnect featuring Apple CarPlay and Android Auto, 8-inch color display with multi-touch control, Bluetooth hands-free phone system, streaming audio via Bluetooth, hands-free text messaging assistant, two front and two rear illuminated USB charge ports, RearView monitor, Nissan Intelligent Key with push button ignition and remote engine start. NISSAN NEW VEHICLE WARRANTY: Every Nissan is backed by 36-month/36,000-mile limited vehicle coverage, 5-year/60,000-mile limited powertrain and a corrosion perforation warranty of 60-months/unlimited distance. The Nissan Titan includes a 5-year/100,000-mile bumper-to-bumper limited warranty. For extra protection, you can also add Security+Plus®, the only extended service agreement approved by Nissan and for complete warranty information and details contact Anderson Nissan. WHY BUY FROM ANDERSON: Anderson Nissan is a recipient of The Nissan Award of Excellence, the highest award presented by Nissan North America to its dealers. The award recognizes Nissan's top dealers from across the nation who are able to meet high standards of achievement. The Anderson Auto Group is a one stop auto sales, maintenance, and repair business for all of your automotive needs. Out of town customers will be accommodated with free shuttle service from Las Vegas and Phoenix airports and if an overnight stay is needed, discounted nightly rates are available from local hotels. We welcome you to come in and enjoy a positive buying experience and look forward to you joining the Anderson family of customers. DISCLAIMER: *Prices, options, specifications and images shown are subject to certain qualifications and availability. Pricing information is not final and may not include taxes, registration, finance and purchase fees. Please confirm vehicle availability, pricing and warranty information by calling us at 928-764-1700 or emailing our internet sales department at nissansales@andersonauto.com. 28/39 City/Highway MPG, power sliding moonroof with tilt, 17-inch alloy wheels, heated front seats and steering wheel, two front and two rear illuminated USB charge ports, NissanConnect featuring Apple CarPlay and Android Auto, 8-inch color display with multi-touch control, Bluetooth hands-free phone system, streaming audio via Bluetooth, hands-free text messaging system, RearView monitor, rear sonar system, Nissan Intelligent Key with push button ignition and remote engine start with intelligent climate control. NISSAN NEW VEHICLE WARRANTY: Every Nissan is backed by 36-month/36,000-mile limited vehicle coverage, 5-year/60,000-mile limited powertrain and a corrosion perforation warranty of 60-months/unlimited distance. The Nissan Titan includes a 5-year/100,000-mile bumper-to-bumper limited warranty. For extra protection, you can also add Security+Plus®, the only extended service agreement approved by Nissan and for complete warranty information and details contact Anderson Nissan. WHY BUY FROM ANDERSON: Anderson Nissan is a recipient of The Nissan Award of Excellence, the highest award presented by Nissan North America to its dealers. The award recognizes Nissan's top dealers from across the nation who are able to meet high standards of achievement. The Anderson Auto Group is a one stop auto sales, maintenance, and repair business for all of your automotive needs. Out of town customers will be accommodated with free shuttle service from Las Vegas and Phoenix airports and if an overnight stay is needed, discounted nightly rates are available from local hotels. We welcome you to come in and enjoy a positive buying experience and look forward to you joining the Anderson family of customers. DISCLAIMER: *Prices, options, specifications and images shown are subject to certain qualifications and availability. Pricing information is not final and may not include taxes, registration, finance and purchase fees. Please confirm vehicle availability, pricing and warranty information by calling us at 928-764-1700 or emailing our internet sales department at nissansales@andersonauto.com. 26/36 City/Highway MPG, power sliding moonroof with tilt, 17-inch alloy wheels, LED fog lamps, heated steering wheel and heated front seats, satellite radio, 8-inch color display with multi-touch control, NissanConnect, Bluetooth hands-free phone system, streaming audio via Bluetooth, Siri Eyes Free/Google Assistant with voice recognition, two front and two rear illuminated USB charge ports, RearView monitor, blind spot warning, rear cross traffic alert, lane departure warning, Nissan Intelligent Key with push button ignition and remote engine start with intelligent climate control. NISSAN NEW VEHICLE WARRANTY: Every Nissan is backed by 36-month/36,000-mile limited vehicle coverage, 5-year/60,000-mile limited powertrain and a corrosion perforation warranty of 60-months/unlimited distance. The Nissan Titan includes a 5-year/100,000-mile bumper-to-bumper limited warranty. For extra protection, you can also add Security+Plus®, the only extended service agreement approved by Nissan and for complete warranty information and details contact Anderson Nissan. WHY BUY FROM ANDERSON: Anderson Nissan is a recipient of The Nissan Award of Excellence, the highest award presented by Nissan North America to its dealers. The award recognizes Nissan's top dealers from across the nation who are able to meet high standards of achievement. The Anderson Auto Group is a one stop auto sales, maintenance, and repair business for all of your automotive needs. Out of town customers will be accommodated with free shuttle service from Las Vegas and Phoenix airports and if an overnight stay is needed, discounted nightly rates are available from local hotels. We welcome you to come in and enjoy a positive buying experience and look forward to you joining the Anderson family of customers. DISCLAIMER: *Prices, options, specifications and images shown are subject to certain qualifications and availability. Pricing information is not final and may not include taxes, registration, finance and purchase fees. Please confirm vehicle availability, pricing and warranty information by calling us at 928-764-1700 or emailing our internet sales department at nissansales@andersonauto.com. 28/39 City/Highway MPG, 17-inch alloy wheels, LED fog lamps, power sliding moonroof with tilt, ProPILOT Assist, heated steering wheel, 8-way power driver seat with power lumbar and 60/40 split fold-down rear seats, satellite radio, NissanConnect featuring Apple CarPlay and Android Auto, 8-inch color display with multi-touch control, two front and two rear illuminated USB charge ports, RearView monitor, rear sonar system, blind spot warning, rear cross traffic alert, lane departure warning and remote engine start with intelligent climate control. NISSAN NEW VEHICLE WARRANTY: Every Nissan is backed by 36-month/36,000-mile limited vehicle coverage, 5-year/60,000-mile limited powertrain and a corrosion perforation warranty of 60-months/unlimited distance. The Nissan Titan includes a 5-year/100,000-mile bumper-to-bumper limited warranty. For extra protection, you can also add Security+Plus®, the only extended service agreement approved by Nissan and for complete warranty information and details contact Anderson Nissan. WHY BUY FROM ANDERSON: Anderson Nissan is a recipient of The Nissan Award of Excellence, the highest award presented by Nissan North America to its dealers. The award recognizes Nissan's top dealers from across the nation who are able to meet high standards of achievement. The Anderson Auto Group is a one stop auto sales, maintenance, and repair business for all of your automotive needs. Out of town customers will be accommodated with free shuttle service from Las Vegas and Phoenix airports and if an overnight stay is needed, discounted nightly rates are available from local hotels. We welcome you to come in and enjoy a positive buying experience and look forward to you joining the Anderson family of customers. DISCLAIMER: *Prices, options, specifications and images shown are subject to certain qualifications and availability. Pricing information is not final and may not include taxes, registration, finance and purchase fees. Please confirm vehicle availability, pricing and warranty information by calling us at 928-764-1700 or emailing our internet sales department at nissansales@andersonauto.com. Power sliding moonroof with tilt, 17-inch alloy wheels, heated steering wheel and front seats, satellite radio, NissanConnect featuring Apple CarPlay and Android Auto, Bluetooth hands-free phone system, hands-free text messaging assistant, electronic parking brake with auto hold, rear sonar system, RearView monitor, rear cross traffic alert, lane departure warning, blind spot warning and remote engine start with intelligent climate control. NISSAN NEW VEHICLE WARRANTY: Every Nissan is backed by 36-month/36,000-mile limited vehicle coverage, 5-year/60,000-mile limited powertrain and a corrosion perforation warranty of 60-months/unlimited distance. The Nissan Titan includes a 5-year/100,000-mile bumper-to-bumper limited warranty. For extra protection, you can also add Security+Plus®, the only extended service agreement approved by Nissan and for complete warranty information and details contact Anderson Nissan. WHY BUY FROM ANDERSON: Anderson Nissan is a recipient of The Nissan Award of Excellence, the highest award presented by Nissan North America to its dealers. The award recognizes Nissan's top dealers from across the nation who are able to meet high standards of achievement. The Anderson Auto Group is a one stop auto sales, maintenance, and repair business for all of your automotive needs. Out of town customers will be accommodated with free shuttle service from Las Vegas and Phoenix airports and if an overnight stay is needed, discounted nightly rates are available from local hotels. We welcome you to come in and enjoy a positive buying experience and look forward to you joining the Anderson family of customers. DISCLAIMER: *Prices, options, specifications and images shown are subject to certain qualifications and availability. Pricing information is not final and may not include taxes, registration, finance and purchase fees. Please confirm vehicle availability, pricing and warranty information by calling us at 928-764-1700 or emailing our internet sales department at nissansales@andersonauto.com. 28/39 City/Highway MPG, power sliding moonroof with tilt, 17-inch alloy wheels, LED projector headlights and LED fog lights, rear spoiler, heated steering wheel, 8-way power driver seat with power lumbar and 60/40 split fold-down rear seats, heated front seats, satellite radio, NissanConnect, 8-inch color display with multi-touch control, Bluetooth hands-free phone system, streaming audio via Bluetooth, hands-free text messaging assistant, RearView monitor, rear sonar system, electronic parking brake with auto hold, Nissan Intelligent Key with push button ignition and remote engine start with intelligent climate control. NISSAN NEW VEHICLE WARRANTY: Every Nissan is backed by 36-month/36,000-mile limited vehicle coverage, 5-year/60,000-mile limited powertrain and a corrosion perforation warranty of 60-months/unlimited distance. The Nissan Titan includes a 5-year/100,000-mile bumper-to-bumper limited warranty. For extra protection, you can also add Security+Plus®, the only extended service agreement approved by Nissan and for complete warranty information and details contact Anderson Nissan. WHY BUY FROM ANDERSON: Anderson Nissan is a recipient of The Nissan Award of Excellence, the highest award presented by Nissan North America to its dealers. The award recognizes Nissan's top dealers from across the nation who are able to meet high standards of achievement. The Anderson Auto Group is a one stop auto sales, maintenance, and repair business for all of your automotive needs. Out of town customers will be accommodated with free shuttle service from Las Vegas and Phoenix airports and if an overnight stay is needed, discounted nightly rates are available from local hotels. We welcome you to come in and enjoy a positive buying experience and look forward to you joining the Anderson family of customers. DISCLAIMER: *Prices, options, specifications and images shown are subject to certain qualifications and availability. Pricing information is not final and may not include taxes, registration, finance and purchase fees. Please confirm vehicle availability, pricing and warranty information by calling us at 928-764-1700 or emailing our internet sales department at nissansales@andersonauto.com. 28/39 City/Highway MPG, power sliding moonroof with tilt, heated steering wheel and front seats, satellite radio, NissanConnect featuring Apple CarPlay and Android Auto, 8-inch color display with multi-touch control, Bluetooth hands-free phone system, hands-free text messaging assistant, RearView monitor, rear sonar system, Nissan Intelligent Key with push button ignition, blind spot warning, rear cross traffic alert, lane departure warning and remote engine start with intelligent climate control. NISSAN NEW VEHICLE WARRANTY: Every Nissan is backed by 36-month/36,000-mile limited vehicle coverage, 5-year/60,000-mile limited powertrain and a corrosion perforation warranty of 60-months/unlimited distance. The Nissan Titan includes a 5-year/100,000-mile bumper-to-bumper limited warranty. For extra protection, you can also add Security+Plus®, the only extended service agreement approved by Nissan and for complete warranty information and details contact Anderson Nissan. WHY BUY FROM ANDERSON: Anderson Nissan is a recipient of The Nissan Award of Excellence, the highest award presented by Nissan North America to its dealers. The award recognizes Nissan's top dealers from across the nation who are able to meet high standards of achievement. The Anderson Auto Group is a one stop auto sales, maintenance, and repair business for all of your automotive needs. Out of town customers will be accommodated with free shuttle service from Las Vegas and Phoenix airports and if an overnight stay is needed, discounted nightly rates are available from local hotels. We welcome you to come in and enjoy a positive buying experience and look forward to you joining the Anderson family of customers. DISCLAIMER: *Prices, options, specifications and images shown are subject to certain qualifications and availability. Pricing information is not final and may not include taxes, registration, finance and purchase fees. Please confirm vehicle availability, pricing and warranty information by calling us at 928-764-1700 or emailing our internet sales department at nissansales@andersonauto.com. 26/36 City/Highway MPG, power sliding moonroof with tilt, 17-inch alloy wheels, LED fog lamps, heated steering wheel, heated front seats, 8-way power driver seat with power lumbar and 60/40 split fold down rear seats, satellite radio, NissanConnect featuring Apple CarPlay and Android Auto, 8-inch color display with multi-touch control, Bluetooth hands-free phone system, streaming audio via Bluetooth, hands-free text messaging assistant, RearView monitor, rear sonar system, blind spot warning, rear cross traffic alert, intelligent lane intervention, Nissan Intelligent Key with push button ignition and remote engine start with intelligent climate control. NISSAN NEW VEHICLE WARRANTY: Every Nissan is backed by 36-month/36,000-mile limited vehicle coverage, 5-year/60,000-mile limited powertrain and a corrosion perforation warranty of 60-months/unlimited distance. The Nissan Titan includes a 5-year/100,000-mile bumper-to-bumper limited warranty. For extra protection, you can also add Security+Plus®, the only extended service agreement approved by Nissan and for complete warranty information and details contact Anderson Nissan. WHY BUY FROM ANDERSON: Anderson Nissan is a recipient of The Nissan Award of Excellence, the highest award presented by Nissan North America to its dealers. The award recognizes Nissan's top dealers from across the nation who are able to meet high standards of achievement. The Anderson Auto Group is a one stop auto sales, maintenance, and repair business for all of your automotive needs. Out of town customers will be accommodated with free shuttle service from Las Vegas and Phoenix airports and if an overnight stay is needed, discounted nightly rates are available from local hotels. We welcome you to come in and enjoy a positive buying experience and look forward to you joining the Anderson family of customers. DISCLAIMER: *Prices, options, specifications and images shown are subject to certain qualifications and availability. Pricing information is not final and may not include taxes, registration, finance and purchase fees. Please confirm vehicle availability, pricing and warranty information by calling us at 928-764-1700 or emailing our internet sales department at nissansales@andersonauto.com. 17-inch alloy wheels, power sliding moonroof with tilt, leather appointed seats, heated steering wheel and front seats, BOSE premium sound system with 9 speakers, satellite radio, NissanConnect door-to-door navigation and services with Apple CarPlay and Android Auto, Siri Eyes Free/Google Assistant with voice recognition, RearView monitor, rear sonar system, Intelligent Cruise Control with full speed range and hold, Intelligent Forward Collision Warning, blind spot warning, rear cross traffic alert and lane departure warning. NISSAN NEW VEHICLE WARRANTY: Every Nissan is backed by 36-month/36,000-mile limited vehicle coverage, 5-year/60,000-mile limited powertrain and a corrosion perforation warranty of 60-months/unlimited distance. The Nissan Titan includes a 5-year/100,000-mile bumper-to-bumper limited warranty. For extra protection, you can also add Security+Plus®, the only extended service agreement approved by Nissan and for complete warranty information and details contact Anderson Nissan. WHY BUY FROM ANDERSON: Anderson Nissan is a recipient of The Nissan Award of Excellence, the highest award presented by Nissan North America to its dealers. The award recognizes Nissan's top dealers from across the nation who are able to meet high standards of achievement. The Anderson Auto Group is a one stop auto sales, maintenance, and repair business for all of your automotive needs. Out of town customers will be accommodated with free shuttle service from Las Vegas and Phoenix airports and if an overnight stay is needed, discounted nightly rates are available from local hotels. We welcome you to come in and enjoy a positive buying experience and look forward to you joining the Anderson family of customers. DISCLAIMER: *Prices, options, specifications and images shown are subject to certain qualifications and availability. Pricing information is not final and may not include taxes, registration, finance and purchase fees. Please confirm vehicle availability, pricing and warranty information by calling us at 928-764-1700 or emailing our internet sales department at nissansales@andersonauto.com. 17-inch aluminum alloy wheels, intelligent ride control, power sliding moonroof with tilt, leather appointed seats, heated steering wheel and front seats, NissanConnect Door-to-Door Navigation and services with Apple CarPlay and Android Auto, satellite radio, Bose premium sound system with 9-speakers, Bluetooth hands-free phone system, RearView monitor, rear sonar system, blind spot warning, rear cross traffic alert, intelligent lane intervention, Nissan Intelligent Key with push button ignition and remote engine start with intelligent climate control. NISSAN NEW VEHICLE WARRANTY: Every Nissan is backed by 36-month/36,000-mile limited vehicle coverage, 5-year/60,000-mile limited powertrain and a corrosion perforation warranty of 60-months/unlimited distance. The Nissan Titan includes a 5-year/100,000-mile bumper-to-bumper limited warranty. For extra protection, you can also add Security+Plus®, the only extended service agreement approved by Nissan and for complete warranty information and details contact Anderson Nissan. WHY BUY FROM ANDERSON: Anderson Nissan is a recipient of The Nissan Award of Excellence, the highest award presented by Nissan North America to its dealers. The award recognizes Nissan's top dealers from across the nation who are able to meet high standards of achievement. The Anderson Auto Group is a one stop auto sales, maintenance, and repair business for all of your automotive needs. Out of town customers will be accommodated with free shuttle service from Las Vegas and Phoenix airports and if an overnight stay is needed, discounted nightly rates are available from local hotels. We welcome you to come in and enjoy a positive buying experience and look forward to you joining the Anderson family of customers. DISCLAIMER: *Prices, options, specifications and images shown are subject to certain qualifications and availability. Pricing information is not final and may not include taxes, registration, finance and purchase fees. Please confirm vehicle availability, pricing and warranty information by calling us at 928-764-1700 or emailing our internet sales department at nissansales@andersonauto.com. 19-inch alloy wheels, power sliding moonroof with tilt, heated outside mirrors with integrated LED turn signals, heated steering wheel, leather appointed seats, heated front seats, NissanConnect door-to-door navigation, satellite radio, Bose premium sound system with 9 speakers, hands-free text messaging assistant, intelligent around view monitor with moving object detection, rear sonar system, blind spot warning, rear cross traffic alert, lane departure warning and remote engine start with intelligent climate control. NISSAN NEW VEHICLE WARRANTY: Every Nissan is backed by 36-month/36,000-mile limited vehicle coverage, 5-year/60,000-mile limited powertrain and a corrosion perforation warranty of 60-months/unlimited distance. The Nissan Titan includes a 5-year/100,000-mile bumper-to-bumper limited warranty. For extra protection, you can also add Security+Plus®, the only extended service agreement approved by Nissan and for complete warranty information and details contact Anderson Nissan. WHY BUY FROM ANDERSON: Anderson Nissan is a recipient of The Nissan Award of Excellence, the highest award presented by Nissan North America to its dealers. The award recognizes Nissan's top dealers from across the nation who are able to meet high standards of achievement. The Anderson Auto Group is a one stop auto sales, maintenance, and repair business for all of your automotive needs. Out of town customers will be accommodated with free shuttle service from Las Vegas and Phoenix airports and if an overnight stay is needed, discounted nightly rates are available from local hotels. We welcome you to come in and enjoy a positive buying experience and look forward to you joining the Anderson family of customers. DISCLAIMER: *Prices, options, specifications and images shown are subject to certain qualifications and availability. Pricing information is not final and may not include taxes, registration, finance and purchase fees. Please confirm vehicle availability, pricing and warranty information by calling us at 928-764-1700 or emailing our internet sales department at nissansales@andersonauto.com. 27/37 City/Highway MPG, power sliding moonroof with tilt, 19-inch alloy wheels, electronic parking brake with auto hold, leather appointed seats, heated steering wheel and front seats, navigation, satellite radio, NissanConnect, 8-inch color display with multi-touch control, Intelligent AroundView Monitor with moving object detection, rear sonar system, blind spot warning, rear cross traffic alert, lane departure warning, Nissan Intelligent Key with push button ignition and remote engine start with intelligent climate control. NISSAN NEW VEHICLE WARRANTY: Every Nissan is backed by 36-month/36,000-mile limited vehicle coverage, 5-year/60,000-mile limited powertrain and a corrosion perforation warranty of 60-months/unlimited distance. The Nissan Titan includes a 5-year/100,000-mile bumper-to-bumper limited warranty. For extra protection, you can also add Security+Plus®, the only extended service agreement approved by Nissan and for complete warranty information and details contact Anderson Nissan. WHY BUY FROM ANDERSON: Anderson Nissan is a recipient of The Nissan Award of Excellence, the highest award presented by Nissan North America to its dealers. The award recognizes Nissan's top dealers from across the nation who are able to meet high standards of achievement. The Anderson Auto Group is a one stop auto sales, maintenance, and repair business for all of your automotive needs. Out of town customers will be accommodated with free shuttle service from Las Vegas and Phoenix airports and if an overnight stay is needed, discounted nightly rates are available from local hotels. We welcome you to come in and enjoy a positive buying experience and look forward to you joining the Anderson family of customers. DISCLAIMER: *Prices, options, specifications and images shown are subject to certain qualifications and availability. Pricing information is not final and may not include taxes, registration, finance and purchase fees. Please confirm vehicle availability, pricing and warranty information by calling us at 928-764-1700 or emailing our internet sales department at nissansales@andersonauto.com. Recent Arrival, 27/37 City/Highway MPG, 19-inch alloy wheels, LED fog lamps, illuminated kick plates, power sliding moonroof with tilt, interior accent lighting, heated steering wheel, leather-appointed seats, heated front seats, 8-way power driver seat with power lumbar and memory, NissanConnect door-to-door navigation, satellite radio, BOSE premium sound system with 9 speakers, Bluetooth hands-free phone system, RearView monitor, rear sonar system, Nissan Intelligent Key with push button ignition, blind spot warning, rear cross traffic alert, lane departure warning and remote engine start with intelligent climate control. NISSAN NEW VEHICLE WARRANTY: Every Nissan is backed by 36-month/36,000-mile limited vehicle coverage, 5-year/60,000-mile limited powertrain and a corrosion perforation warranty of 60-months/unlimited distance. The Nissan Titan includes a 5-year/100,000-mile bumper-to-bumper limited warranty. For extra protection, you can also add Security+Plus®, the only extended service agreement approved by Nissan and for complete warranty information and details contact Anderson Nissan. WHY BUY FROM ANDERSON: Anderson Nissan is a recipient of The Nissan Award of Excellence, the highest award presented by Nissan North America to its dealers. The award recognizes Nissan's top dealers from across the nation who are able to meet high standards of achievement. The Anderson Auto Group is a one stop auto sales, maintenance, and repair business for all of your automotive needs. Out of town customers will be accommodated with free shuttle service from Las Vegas and Phoenix airports and if an overnight stay is needed, discounted nightly rates are available from local hotels. We welcome you to come in and enjoy a positive buying experience and look forward to you joining the Anderson family of customers. DISCLAIMER: *Prices, options, specifications and images shown are subject to certain qualifications and availability. Pricing information is not final and may not include taxes, registration, finance and purchase fees. Please confirm vehicle availability, pricing and warranty information by calling us at 928-764-1700 or emailing our internet sales department at nissansales@andersonauto.com.